The Palo Alto Lawn Bowls Club (PALBC) was founded in 1933. It is and has always been located at 474 Embarcadero Road (between Cowper and Waverley streets). On site there is a lawn bowling green with eight available rinks, a clubhouse with a complete kitchen, a men’s and a women’s locker room, and storage closets and a shed. All PALBC duties are performed by member volunteers. The club currently has more than 130 dues-paying members. The entire facility is a city park, and the club and the city work closely together to provide a first-class operation. Although duties overlap in some instances, basically the city maintains the green, and the club maintains the clubhouse. Every Tuesday, Thursday, and Saturday at 10 a.m. during summer months and at 12:30 p.m. during winter months, draw games are held for members. A draw game is also held every Sunday at 1:30 p.m. year round. During the summer, the club has a draw game on Wednesdays with bowling at 5:30 p.m. followed by a casual dinner hosted by club members. Draw games have no predefined teams and are organized to accommodate whoever shows up that day. About four times a year, socials are held, usually on a Saturday or a Sunday with mid-afternoon bowling followed by a theme dinner. They are typically organized by the Hospitality Committee, and are open to all members and their guests for a nominal fee to cover expenses. Throughout the year, various types of tournaments are held. There are intra-club tournaments (e.g. men’s singles, women’s singles, mixed team triples, men’s team pairs, women’s draw pairs), and several invitationals open to all members of Bay Area lawn bowling clubs. 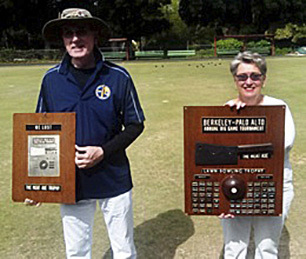 The club also bowls a match every year against Berkeley (a tradition since 1958) for the Meat Axe plaque, and since 2004 has bowled against San Francisco in the Cable Car Classic. The club participates in the Friendship games with nearby clubs; these take place on a Wednesday over a five-week period from mid-May to mid-June. Drop-in lessons are offered every Sunday at 1:30 p.m. (weather permitting). Free private lessons can be scheduled with a coach at a mutually convenient time. A group lesson called a Bowling Blast is offered twice a year, in spring and in summer, for a five-week period of time. Signups can be handled through the city’s Recreation Department or directly through the club. There is a small fee for the Bowling Blast. The PALBC is a member of the Pacific Intermountain Division (PIMD), a regional organization, and of BowlsUSA, the national organization. PIMD holds tournaments and our better and more ambitious bowlers participate. You can also advance to National Tournaments. The PALBC is governed by a ten-member Board of Directors: president, vice-president, secretary, treasurer, and six directors at large. Some of the directors chair various committees necessary to the operation of the club. Committees include: House & Grounds, Hospitality, Equipment & Supplies, Tournaments, Facilities Rentals, Greens, and Coaching. The club publishes a monthly newsletter, WICKS, which is distributed electronically to all members, or mailed to those who so prefer. 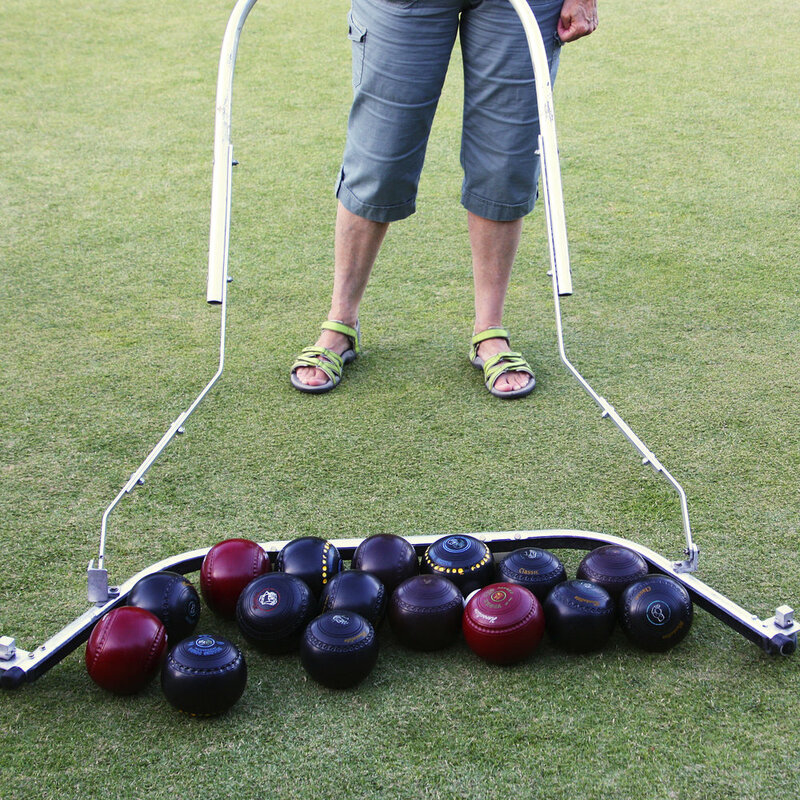 The club maintains an extensive collection of books and pamphlets on the sport of lawn bowling for member use.